She's here! Meet Adonisa Benina. Our baby girl was born on August 5th, 2018 at 10:49pm. She weighed 6 pounds 4 ounces and was 19.5 inches at birth. Her birth was an amazing experience that I haven't quite fully grasped yet. She is named after two amazing women. Adonisa is the name of Jeremy's great grandmother who is still living. Benina is the name of my grandmother, my dad's mom, who passed away when I was twelve. It is also my middle name, so that makes it extra special. Her nickname is of course Addie. 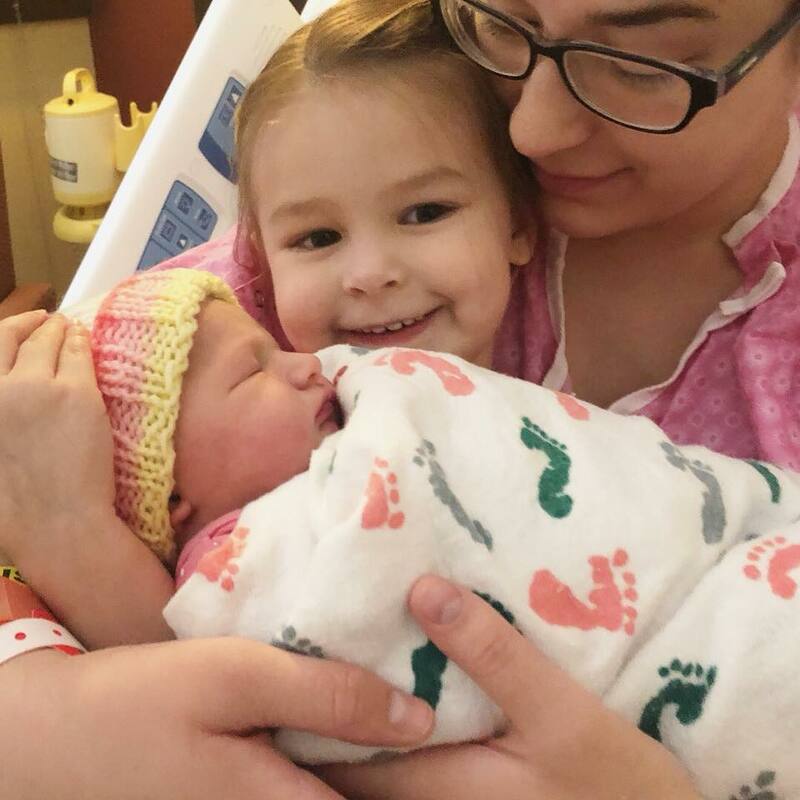 Annabella is overjoyed to finally have a sibling and she is so proud of her baby sister. Their first meeting was so precious. There was no jealousy between the two. Annabella was sad to leave her sister that day, since we still had to stay one more night in the hospital. We are adjusting to life as a family of four. Some days are more difficult than others but we are learning as we go, and we are barely ten days in! As crazy and as difficult as this time in our lives is, I have never felt so much joy and love in my heart. I felt the same way after Annabella was born, but now that feeling has doubled and is spilling over, despite the exhaustion. I look forward to sharing more about our family on this blog. Once I am ready, I will also share our birth story. Thank you for reading!